On the 12th episode of Add Water and Stir, hosts ComplicatedMelodi and AdoptiveBlackMom explore the upsides and the downsides of parenting. We’ll share some of the taboos that we’ve encountered related to parenting and, specifically, parenting adoptive kids. 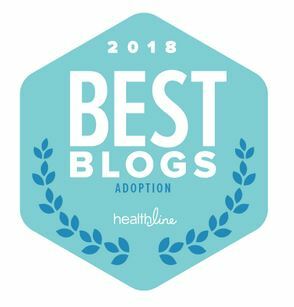 We’ve bumped into all kinds of stuff out here in the blogosphere and in our various support networks related to adoption. We’ll also share about some of our top parenting trials and triumphs. On Thursday night, December 4, at 9pm CST/10pm EST, ABM and Mimi will discuss what we’ve learned during our first year as adoptive parents. As usual we’ll Wine Down with some pop culture and reality tv. Join the dynamic duo on Thursday night on Google+. Or catch Add Water and Stir later on YouTube, iTunes, Stitcher or the podcast page a few days later. Be sure to subscribe to the podcast and rate us! Tell us your adoption and parenting taboos, trials and triumphs, and we’ll shout you out on the show! This entry was posted on Wednesday, December 3rd, 2014 at 11:39 am	and posted in Add Water & Stir Podcast. You can follow any responses to this entry through the RSS 2.0 feed. Oh Booo! ComplicatedMelodi’s Mimi has got the plague! 😦 Tonight’s broadcast has been rescheduled to Sunday, December 7 at 7pm EST/6pm CST! Join us on Sunday!